Framed backpack baby carriers have a built-in aluminum frame which allows parents to carry heavier children for extended periods of time. Most of them have a 45 pound weight limitation, however, the good weight distribution allows for lengthy wear. 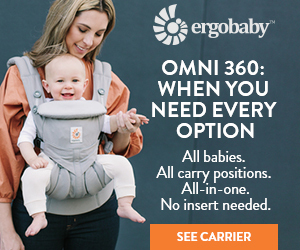 This type of carrier is not too bulky and is very easy to use. It has just one position and is designed for children over 6months old. Framed backpack carrier can be a great replacement for a stroller, especially, for older kids who stopped appreciating them. Framed backpack baby carriers are perfect for outdoor activities. 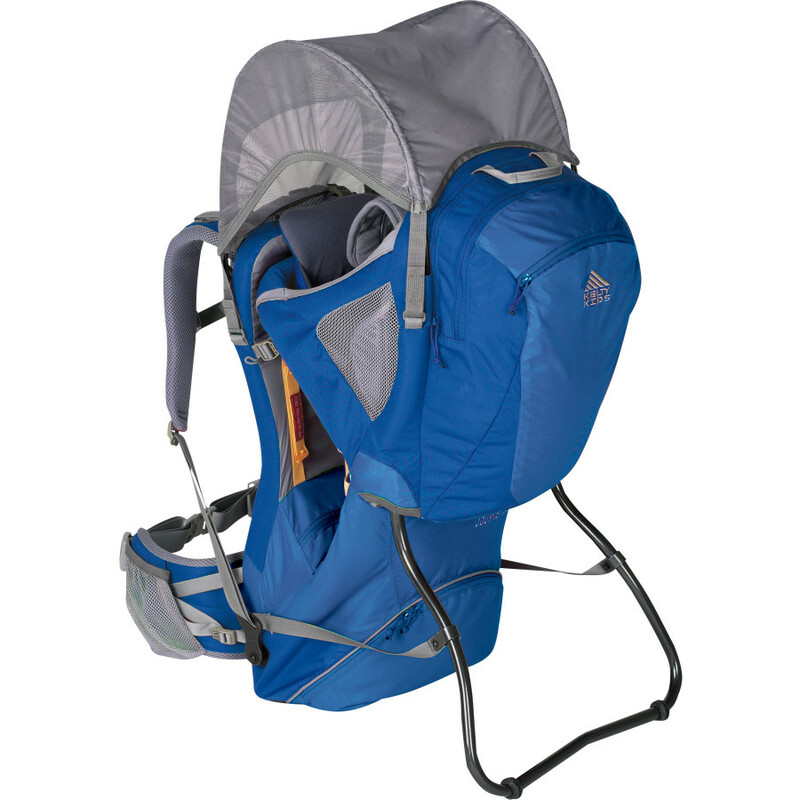 Camping, hiking, backpacking or justtaking a long walk in the park will be much easier with this baby carrier. These carriers are designed for long-time wear and offer additional storage to avoid carrying extra accessories. Lightweight framed backpack carrier (also called Urban) – A good option for parents who like to wear their babies while doing chores around the house or shopping at the mall. They are best designed for everyday use and are less bulky than the regular framed backpack carriers. They are easier to pack and take up less space. Framed child carrier – These are more heavy-duty backpack carriers designed for long-term travel and outdoor activities. They have more substantial aluminum frames as well as a lot of additional storage space for the baby\'s and parents\' needs. Usually they can hold up to 50 pounds of weight (baby + gear). However, each manufacturer sets its own limitations. Some can only hold up to 35 pounds. This type of baby carrier can have many different additional features to make extended use easier and more pleasant for both child and the parent. Footrests – Adjustable to the baby\'s height the footrest offers space for resting her feet. This is a useful option for older children who might not appreciate long-term hanging. The footrest will allow the baby to feel as if she is sitting. 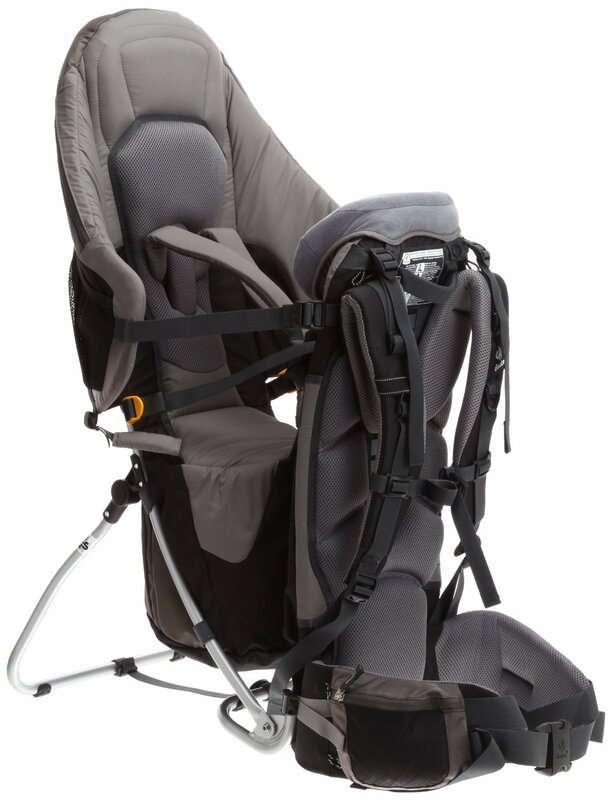 Padded straps –This feature is important to make the parent feel comfortable. Wide seat – Some models offer a wider sit for larger babies to distribute their weight and to avoid hanging. Extra padding – due to the nature of the aluminum frame these carriers can have some hard sides that come in touch with the baby. 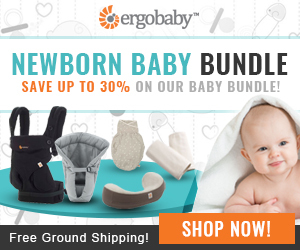 Extra padding is a rare option but can be very useful for the baby\'s comfort. Safety – Framed backpack carriers provide great safety for the babies, especially if they haveadditional features. Height limitations – According to most reviews the backpack carrier will not be a good fit for petite people. Some discomfort – The aluminum frame can cause both the wearer and the baby some discomfort once it gets too hot or too cold. This problem can be avoided by buying a carrier with extra padding.